Update: Verizon has updated the page with a pre-order date: September 6th (Friday) at 9AM Eastern Standard Time. There's still no word on a price or release date for either device. 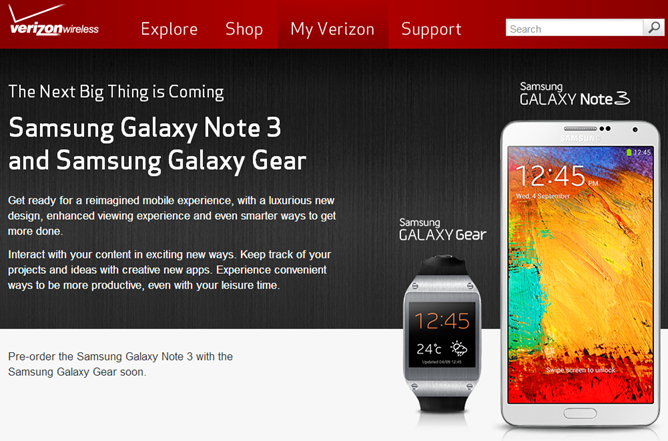 Samsung just got through announcing the shiny new Galaxy Note 3 and the Galaxy Gear smartwatch, but Verizon isn't wasting any time getting its customers excited. The American carrier has already put up a preview page, complete with some typical marketing copy and a placeholder spot for the pre-order. But what's most interesting is what has been omitted. Take a hard look up there, design purists: the image that Verizon posted is decidedly lacking in any tacky home button logos. Last year's Galaxy Note II was defaced with an overbearing Verizon logo right on the home button, the only version anywhere in the world to get such a customization. It looks like Verizon's shameless self-promotion may have ended, or at the very least abated a little. 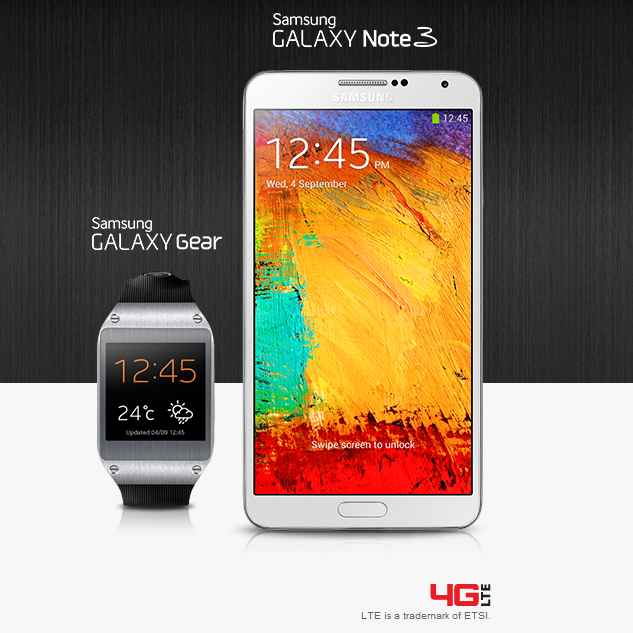 We've reached out to Verizon to confirm that this is the official look of the Galaxy Note 3 on Big Red. It's official: there's no home button logo. Hallelujah. 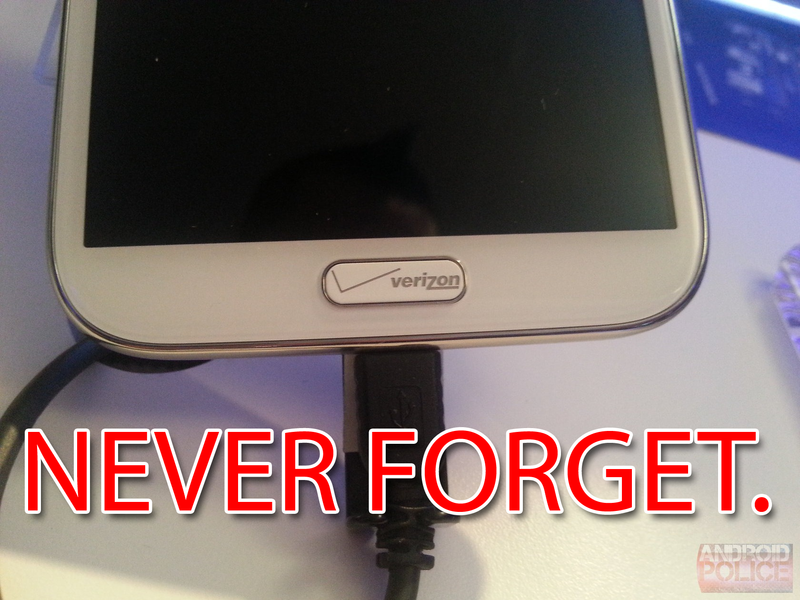 Of course, they could still slap an enormous logo on the back, like a certain other member of the Galaxy Note family. Verizon hasn't mentioned a launch date, but Samsung intends to get the Galaxy Note 3 into most major markets by September 25th. American carriers probably won't be far behind.